April 7, 2016, 11:49 a.m. The National Development Planning Commission (NDPC), has initiated moves for the introduction of a national evaluation policy which aims at ensuring that the country derived maximum value from projects and programmes. The National Evaluation Policy (NEP), which would guide the implementation of development projects and programmes, is aimed at preventing wastage of resources allocated for such initiatives. In addition, the NEP, which would be institutionalised when adopted by the country, is expected to ensure efficiency, effectiveness and transparency in the implementation of projects. The proposed policy also has the objective of creating a mechanism to manage projects to impact positively on society in line with the nation’s development agenda. 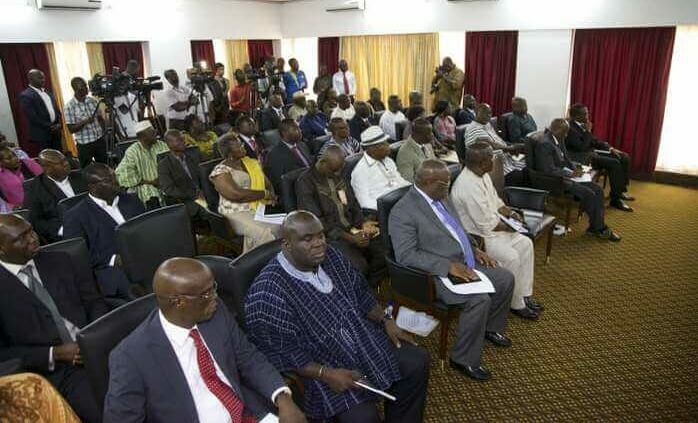 As part of the planning process, a national dialogue on the NEP was held in Accra on Wednesday. Organised by the NDPC in collaboration with the United Nations Children’s Emergency Fund (UNICEF) and Ghana Monitoring & Evaluation Forum, it provided the platform for stakeholder institutions to share ideas on the proposed policy. It was attended by representatives of Ministries, Departments and Agencies, Metropolitan, Municipal and District Assemblies, academia, economic think tanks, development partners, and civil society. 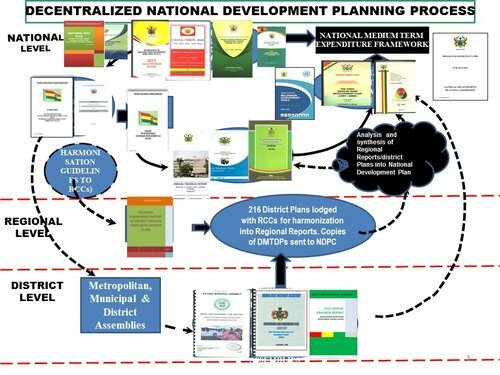 Currently, according to the NDPC, there is no system for active evaluation of national projects, making the evaluation aspect of programmes and projects virtually non-existent. The few projects that undergo proper evaluation are donor funded projects which have strict evaluation conditions. Opening the dialogue, Dr. Grace Bediako, Senior Technical Advisor at NDPC, described an evaluation policy as a “critical tool” to promote accountability and transparency for the effective and efficiency implementation of development projects. By evaluating projects at various stages, she said the nation would know the success or otherwise of such projects, and help in deciding whether to scale it up. She believed that the NEP would help to create a database from which future projects could draw lessons so as to avoid mistakes and challenges that often hinder the implementation of projects and programmes. “We should be able to hold others accountable,” she said. Clemens Gros, Monitoring and Evaluation Specialist at UNICEF, for his part explained that a NEP would provide a good mechanism to support evidence-based decision making in rolling out national development projects. “The evaluation policy will help us to pause and reflect on the projects and programmes. “It will help to answer three key questions- Are we doing the right things. Are we doing it right? Are there better ways we can do it?” he said. Dr. Charles Amoatey, a management consultant and lecturer at Ghana Institute of Management and Public Administration (GIMPA), who presented findings of a desk review of national evaluation policies, recommended the institutionalisation of the NEP so as to make it a legal requirement for all national projects and programmes. 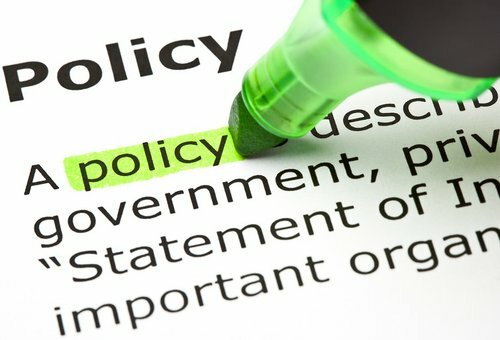 He recommended that, as pertaining in other countries such as South Africa, the Philippines, Canada and other few countries that have active national evaluation systems, institutions that fail to abide by the evaluation requirement should be queried and sanctioned by the Minister of Finance.